The first Developmental Meet is slated for Saturday January 13, 2018. The late Mr Samuels was instrumental in the formation of Fast Lane Track Club as well as spotting new talent across the Territory and motivating many to take to the track for fitness and health. The Chief Coach was notably the coach of world class athlete Kyron A. McMaster, who ended 2017 as the world leader in the 400m hurdles. 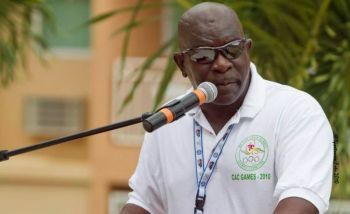 Following the passing of Mr Samuels, NACAC President and Member of the IAAF Board Mr Victor Lopez said, in conjunction with Reynold 'Rey' O’Neal OBE, he was one of the fathers of VI Athletics. “He was one of our most outstanding coaches obtaining medals worldwide with his national athletes and has been standing out internationally for more than a decade. As an example, currently he was training Kyron McMaster, who has the world leading time in the 400m hurdles this year and was the winner of the Diamond League final. “He was a sincere individual, tireless worker, exceptional organiser, great coach and friend. The NACAC Area and the OECS region lose one of its best treasures as a human being and we will remember him forever. We are all indebted for everything he gave our sport and even more for being an exceptional human being,” Mr Lopez had stated. With this year’s Development Meet Series named the 2018 Dag Samuels Developmental Meet Series, it is clear also that the BVIAA is aware it has lost a gem in athletics and is seeking to honour him accordingly. Good look. Why people keep quoting his name as if its a nick name? Dag was his name. Was a great coach person n friend.